A neuroscience journal has retracted a 2015 study after noticing the author list changed from submission to publication. According to the retraction notice in the International Journal of Neuroscience, “conflicting messages” were conveyed between the study’s alleged two lead authors, causing the journal to doubt the provenance of the paper. All the study’s authors are listed as affiliated with The People’s Hospital of Laiwu City in Shandong, China. 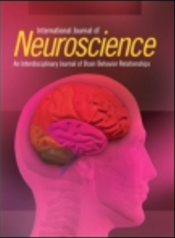 We, the Editors and Publishers of International Journal of Neuroscience, are retracting the following article from publication in the Taylor & Francis journal. Wei XJ, Li F, Yang Fy, Duan CH, Serum protein biomarkers screening in patients with ischemic stroke by LC-MS/MS, International Journal of Neuroscience 126(8): 692-699, doi: 10.3109/00207454.2015.1033713. Epub 2015 Aug 17. Due to inconsistencies between the names of the submitting authors and published authors, including their host institution and conflicting messages between the two alleged lead authors, we find there is sufficient doubt with respect to the provenance of the article, therefore it is being retracted from the journal. This appears to constitute a breach of warranties made by the authors with respect to originality and of our policy on publishing ethics and integrity. We note we received, peer-reviewed, accepted, and published the article in good faith based on these warranties, and censure this action. The 2015 paper, “Serum protein biomarkers screening in patients with ischemic stroke by LC-MS/MS,” has so far been cited once (by its retraction notice), according to Clarivate Analytics’ Web of Science, formerly part of Thomson Reuters. We’ve reached out to the study’s last and corresponding author, Chong-hao Duan, who is also based at The People’s Hospital of Laiwu City, according to the paper. We’ve also contacted the journal for more information, and will update the post with anything else we learn. Next Next post: What should you do if a paper you’ve cited is later retracted?